Millionaire!! That word gets thrown around a lot, right?? Millionaire. Has a nice ring to it – but if I asked you how to become a millionaire, most of you would tell me that I’d need to win a prize, or game show, or win the lottery in order to become a “millionaire”. It’s actually a really big deal to know this kind of thing, especially when it comes to investments and retirement planning. 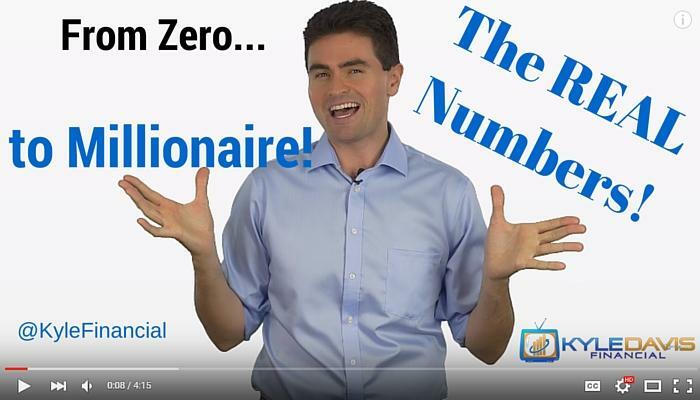 But, have you ever thought about what it would actually take to become a millionaire from scratch? Seriously, if you started with nothing, what would you actually have to do to reach “millionaire status” – meaning you have a million dollars or more in your accounts? As you’ve probably already guessed, I’m gonna tell you! I’m a financial advisor, guys. What did you expect? Now, if you have nothing in your savings or investment accounts, and you’re not actively saving, obviously you’re going to have to change that very quickly. 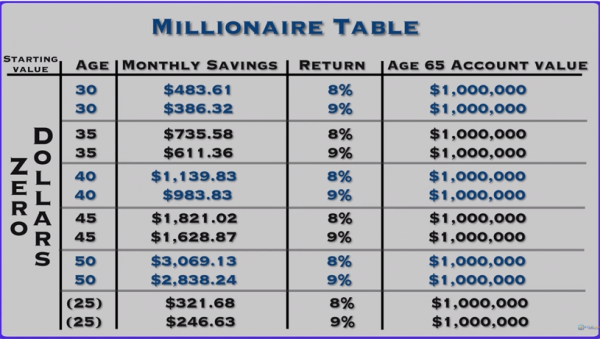 The road to being a millionaire is paved with consistent disciplined savings habits. If you’re not willing to put aside money for yourself, seriously, stop the video! You’re wasting your time here…because that’s exactly what sound retirement planning is all about! Disclaimer: I am not depicting any particular investment or product, nor should this serve as a guarantee of any kind, but the math is real! Let this serve as a conceptual blueprint and give you some encouragement! I’ve noticed when people do long-range calculations like this, I sometimes see numbers as low as 6% annual return and, in the case of a certain financial celebrity who shall remain nameless, sometimes I hear claims of a 12% annual return. 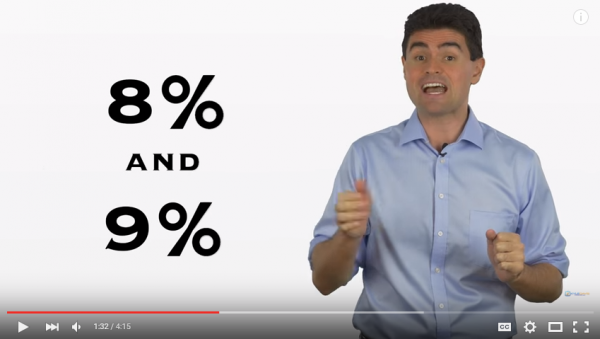 I’m going to be reasonable and use 8% and 9% for what you’re about to see, just to show you some variance. Also, I’m using age 65 as the ending date – meaning the million is finally built up once the individual is 65…which has kind of become the “default” retirement planning start date in our country…contrary to reality. Ok, so at different starting ages, and different rates of return, what kind of monthly commitment are we actually looking at to get this done? For example, look at the 30-year old. They would have to put away $483.61/mo at 8% net return to get to a million, or even less, $386.32/mo if they are earning 9%. Look at how the monthly savings amounts grow from each age bracket. As you can see, it starts to get harder and harder to achieve that million dollar mark the longer you wait. Now, I’ll be the first to tell you that accounts don’t really behave like that, earning the same return each year for 20 or 30 years, but still. As a conceptual blueprint just to see the possibilities, it’s encouraging! You can do this! Now here’s a little secret for you. All of the numbers on this chart…scale perfectly with their Age 65 account values. In other words, cut the ending account value in half, and you can cut the monthly savings needed in half. What if I told you that 60% of people 65 and older have less than $100,000 in their retirement accounts and that only 5% will ever get to the $500,000 mark. That comes straight from the EBRI – a HUGE authority on retirement planning, so feel free to look it up! Only 5% will ever get to half a million, and now you have an idea of what it might take, even if you’re starting from scratch! I don’t know about you, but I think that’s pretty motivating…and achievable!